The Winnipeg Blue Bombers have placed receiver Weston Dressler on the six-game injured list. Dressler suffered a lower-body injury in the team's 29-23 win over the Hamilton Tiger-Cats in Week 9. The 33-year-old was injured one series after catching a touchdown pass to tie him for eighth all-time with 120 straight games with a reception. 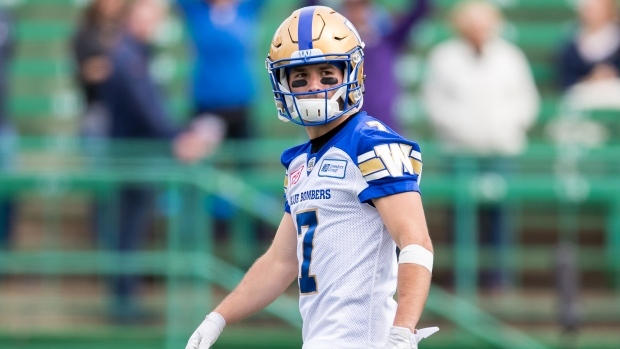 After his injury, Dressler didn't line up at receiver for the rest of the game but still held for Bombers' kicker Justin Medlock on field goals. Receiver Ryan Lankford comes off the team's practice roster to take Dressler's spot in the starting lineup.